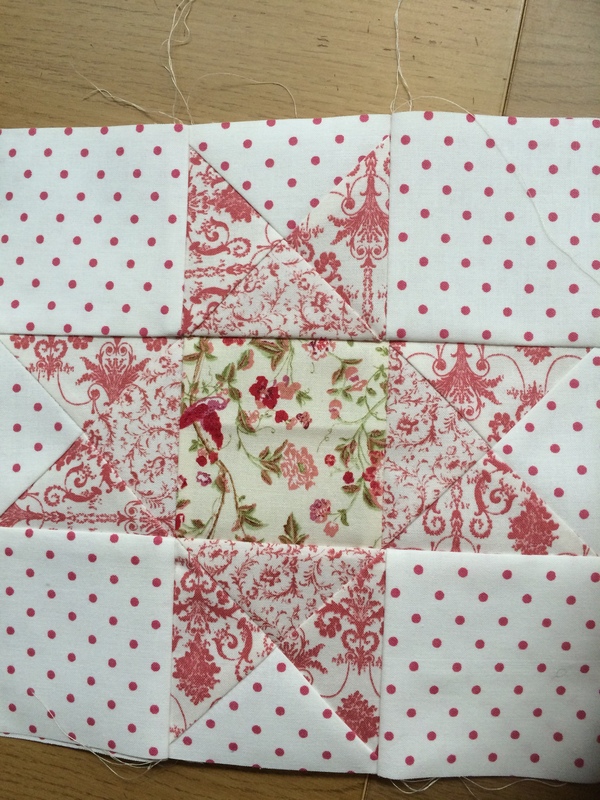 I’ve just had a copy of Today’s Quilter (issue 43) which has my fans quilt project in! 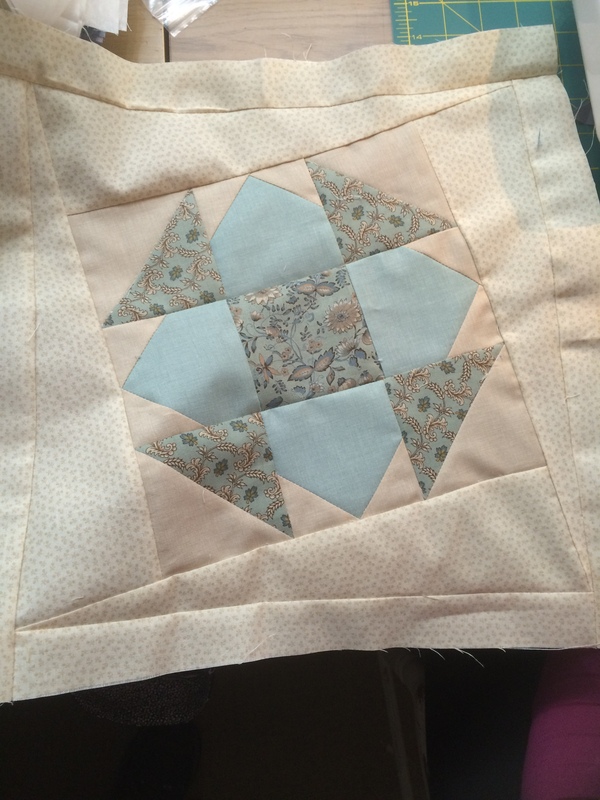 But on reading through it I realise that at one point I say to use the blank quilt to colour in and decide what colours to use for your own quilt. 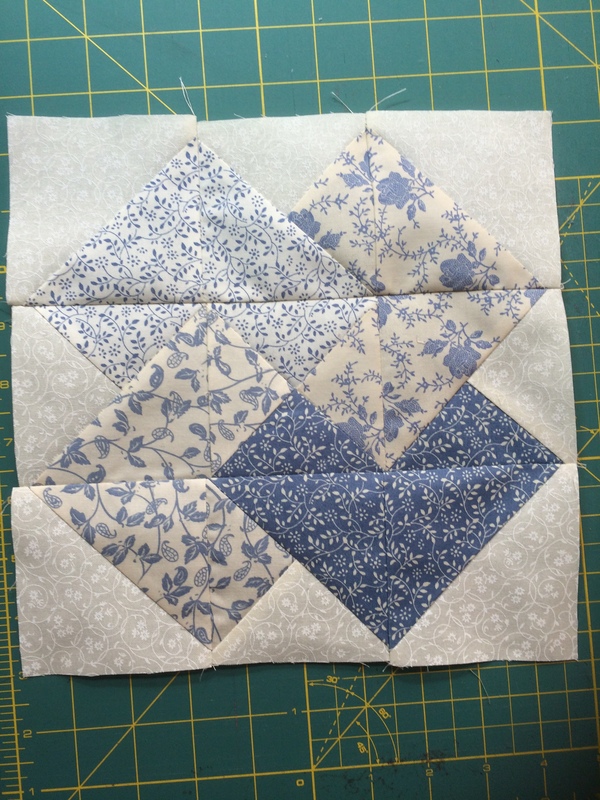 Except I can’t find the blank quilt in the magazine. 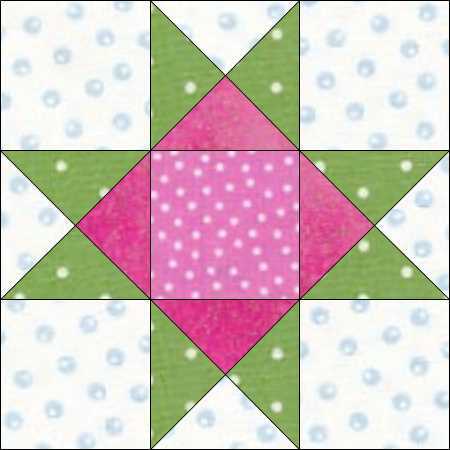 So for those of you who bought the magazine and wanted a quilt to colour in, or for those who just enjoy colouring – you can download a blank fans quilt here. And here are some of the ideas that I had come up with if you need a little more inspiration. 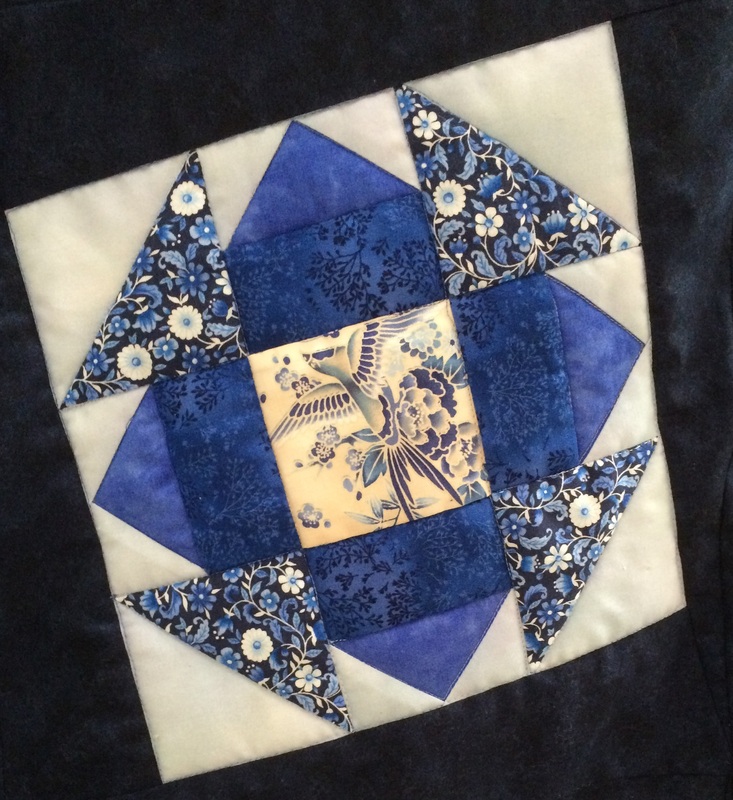 This entry was posted in colour play, patchwork patterns, wall hanging and tagged fans on November 25, 2018 by Chris. 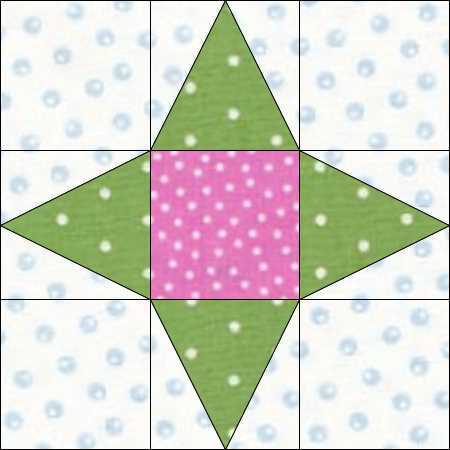 Much interest was expressed in a quilt I showed at a talk the other night and I realised that I had never got around to publishing the pattern. 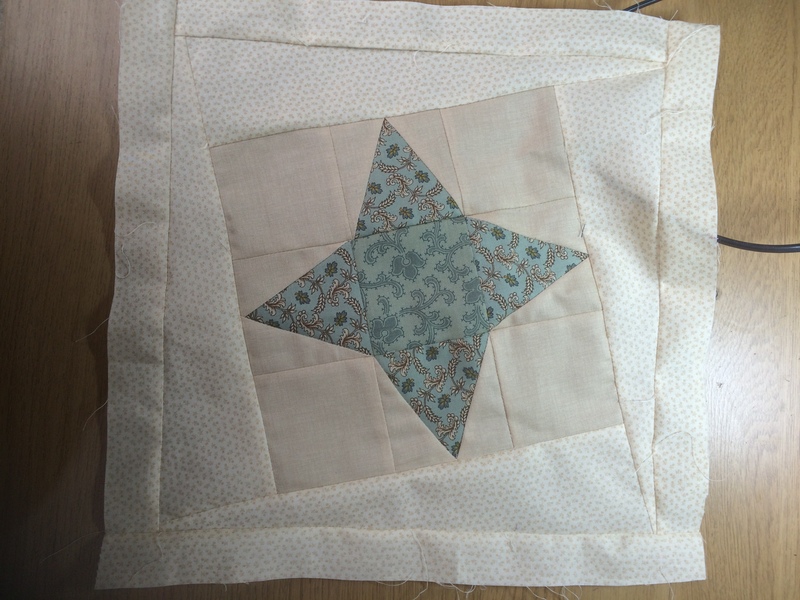 So today I have done so and you will be able to find Autumnal Stars on my Payhip page if you are in the EU, and on my Craftsy page otherwise. 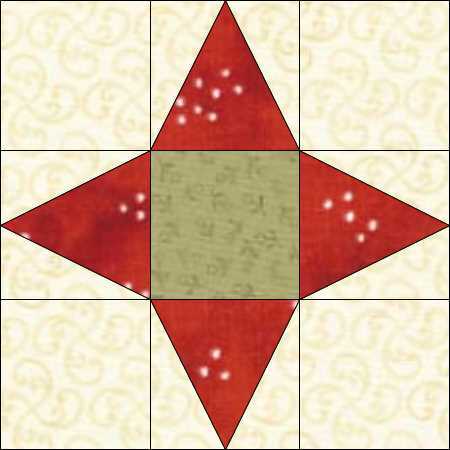 This is a large wall-hanging (about 49 inches square) and is not too difficult to make – I have provided templates if you prefer to cut those pointy star shapes without a rotary cutter (it does make it easier to fit them together). 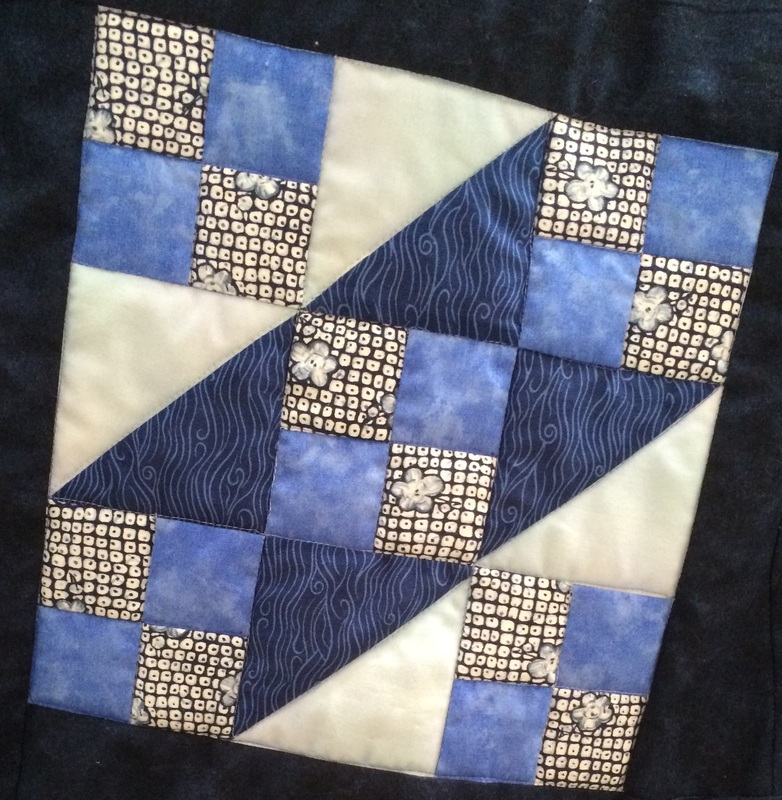 You can make this for any season and have fun playing with the colour placements to alter the curved effects. 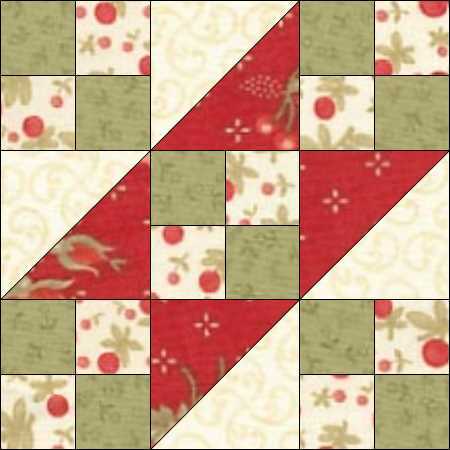 This entry was posted in machine piecing, patchwork patterns, wall hanging on September 7, 2018 by Chris. 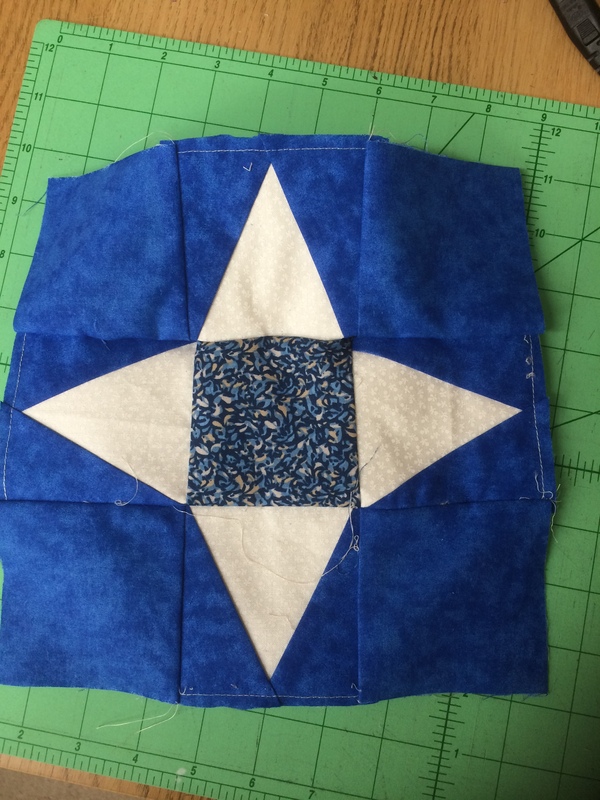 Our block for May is an unseasonal Snowflake. 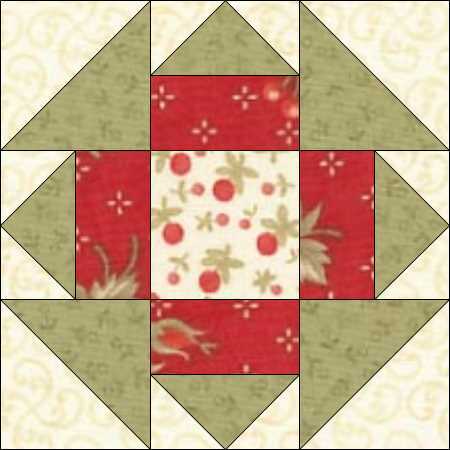 The pattern for this can be downloaded here and the templates are on a separate sheet here. What a difference a dark background or a strong contrast makes. 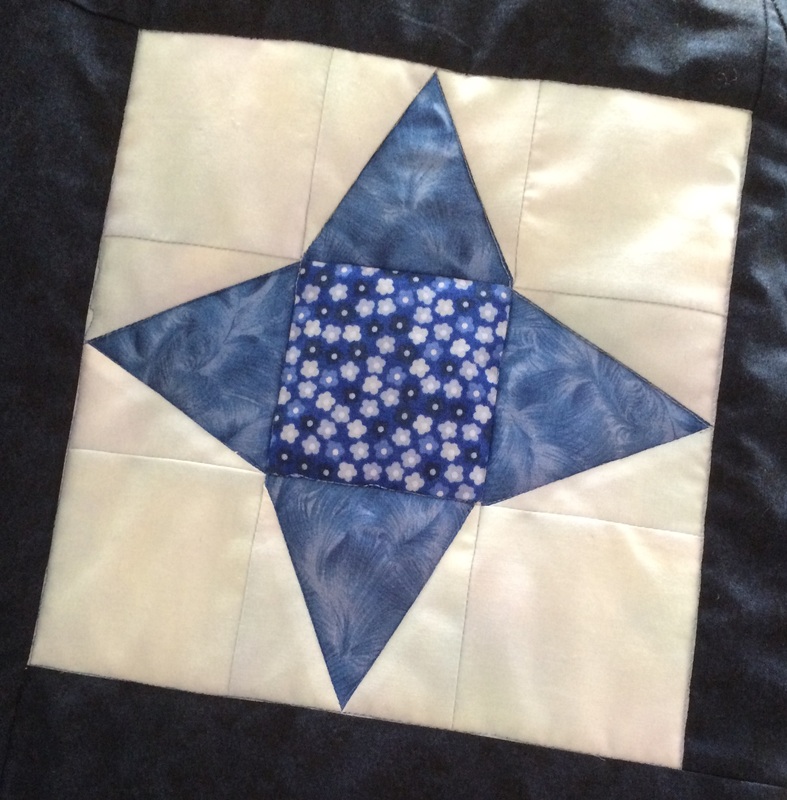 This entry was posted in Block of the Month, Electric Quilt, free pattern, wall hanging on May 15, 2017 by Chris. Happy Easter! 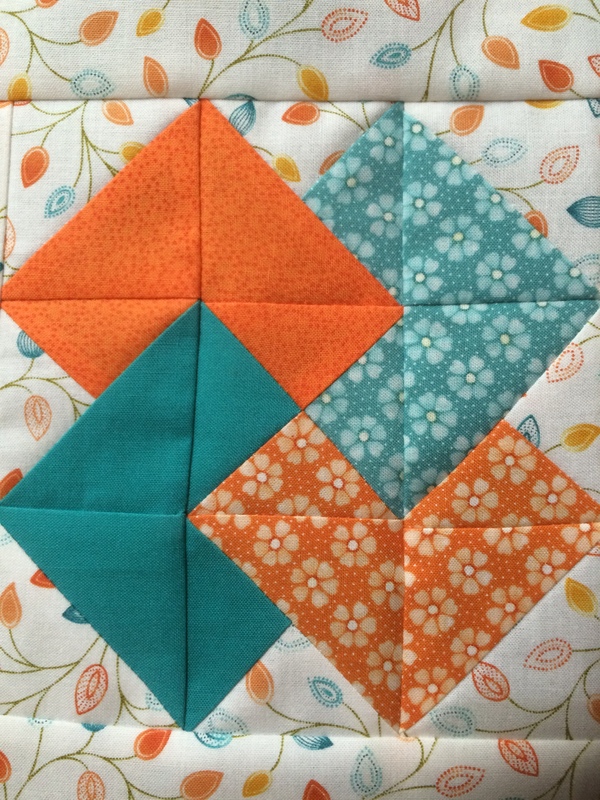 And welcome to Block six of our Block of the Month quilt-along. This month it is the turn of Card Trick. 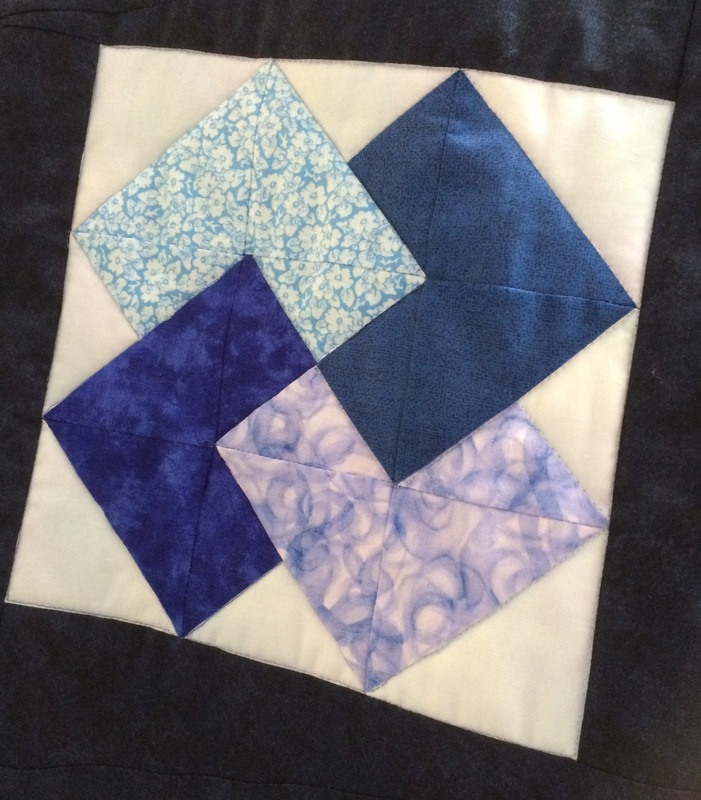 This block relies on a clear difference between the colours used to create the illusion of interlocked squares. 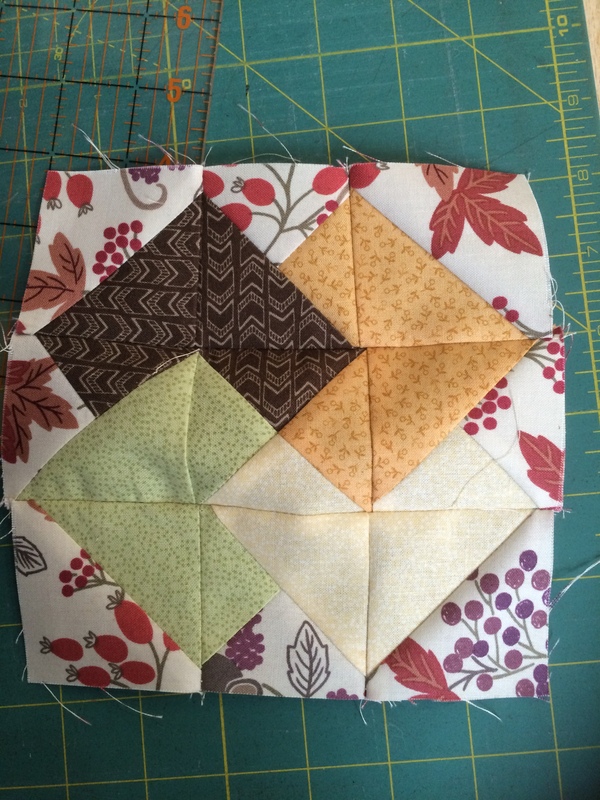 You can download the instructions for the block here. 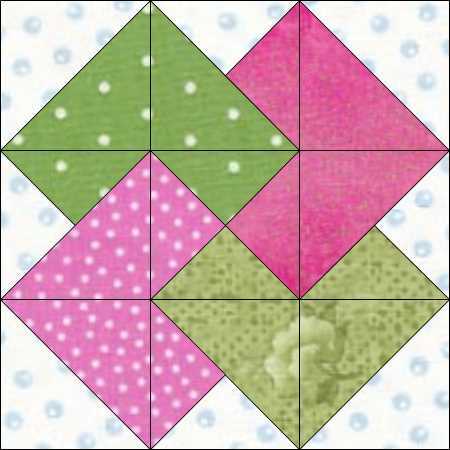 This entry was posted in Block of the Month, free pattern, patchwork patterns, sampler quilt, wall hanging and tagged block of the month, free pattern, nine-patch block, patchwork wall hanging, sampler quilt on April 15, 2017 by Chris. 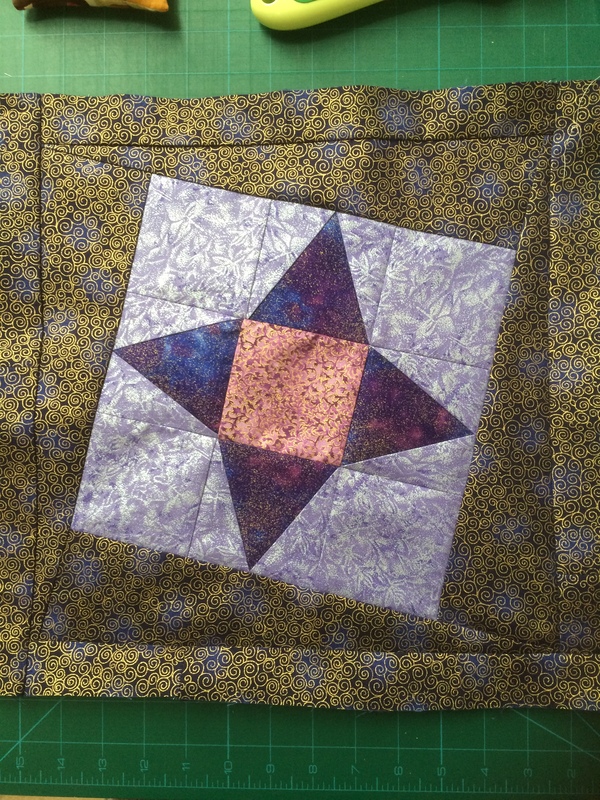 March and block 5 of our Block of the Month quilt-along. 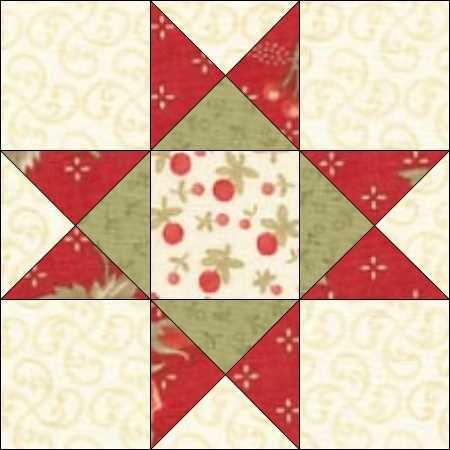 This time it is the return of that perennial favourite – Ohio Star. 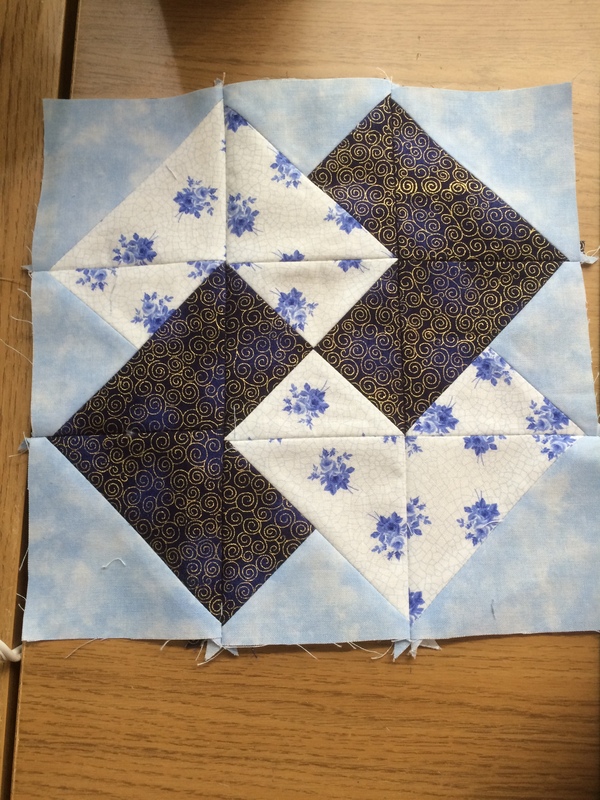 as you may lose the pattern altogether. 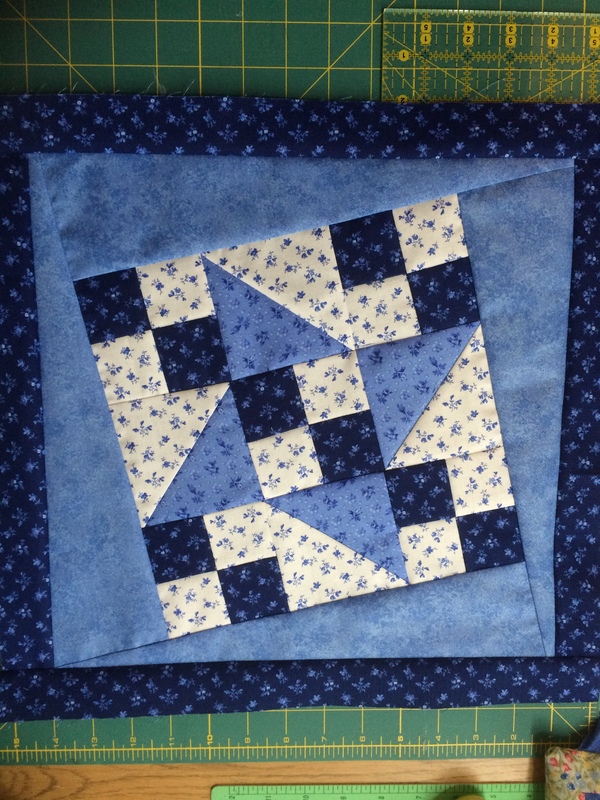 This entry was posted in Block of the Month, free pattern, patchwork patterns, sampler quilt, wall hanging and tagged block of the month, free pattern, nine-patch block, patchwork wall hanging, quilt blocks, sampler quilt on March 15, 2017 by Chris. 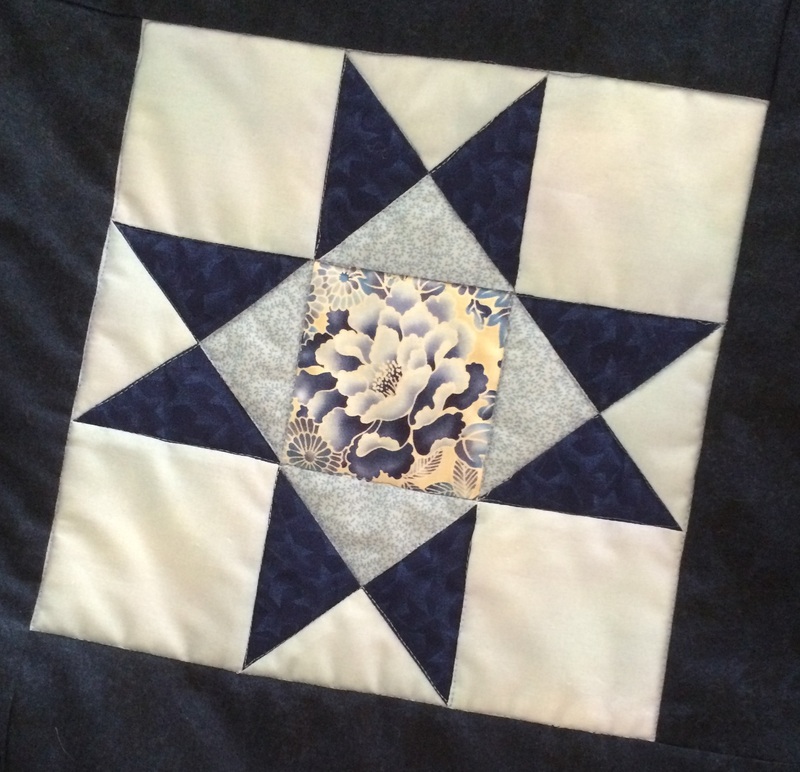 February already, and the fourth block in our quilt-along Block of the Month quilt. 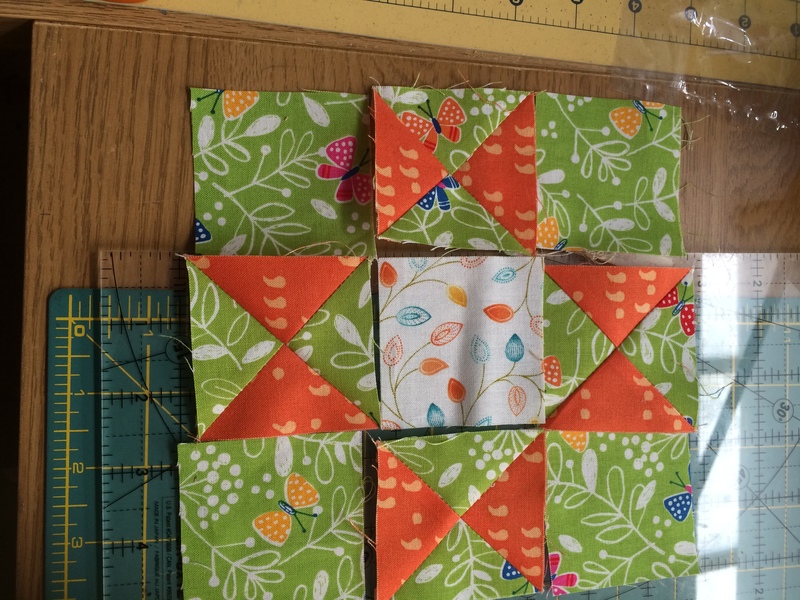 This time it’s the turn of Churn Dash, but with an added twist – ‘Churn Dash Variation’, if you like – I have added Flying Geese units to the traditional block. 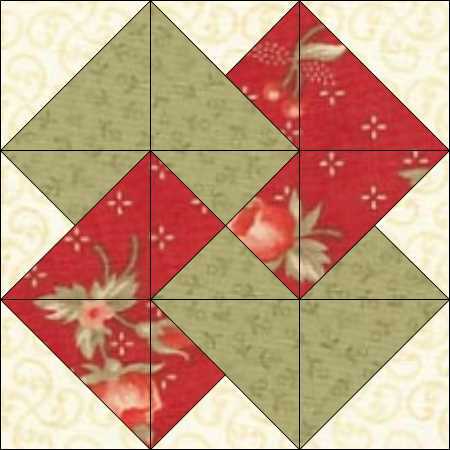 They also made the units by just adding triangles to two corners of a square – because they didn’t like making Flying Geese. 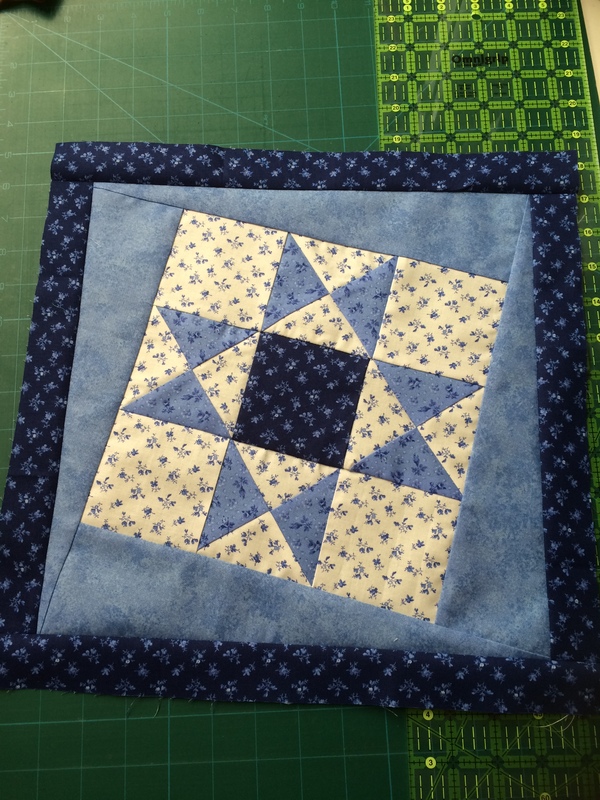 This entry was posted in Block of the Month, free pattern, patchwork patterns, sampler quilt, wall hanging and tagged block of the month, free pattern, nine-patch block, patchwork wall hanging, quilt blocks, simple patchwork on February 15, 2017 by Chris. Happy New Year! 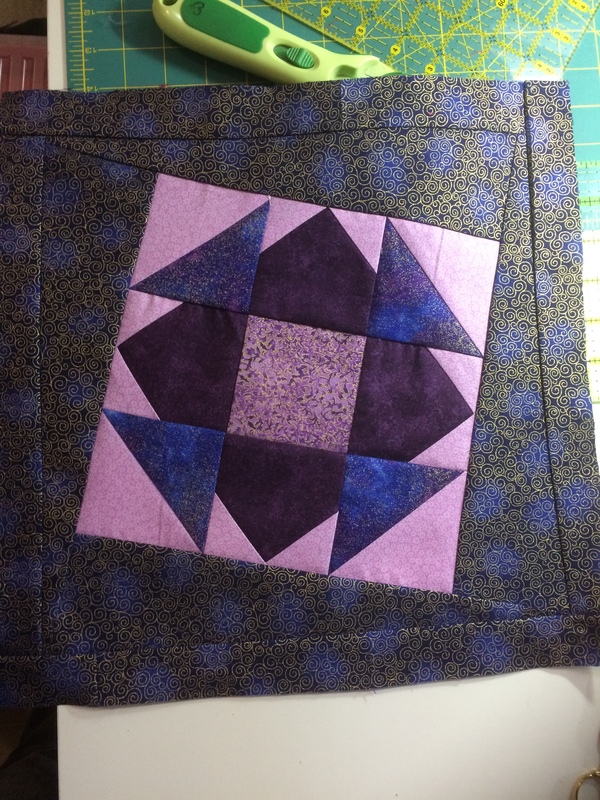 And it is time for the third block in our Quilt-along. 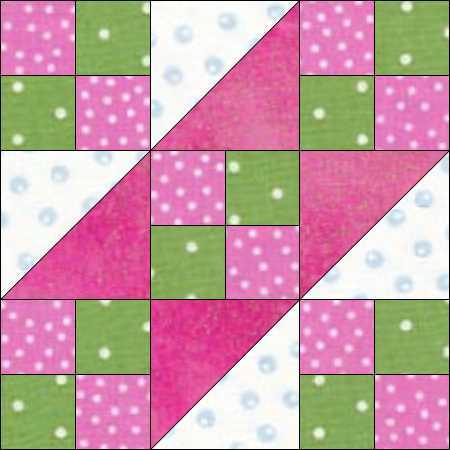 This month it is the Road to California block combining those Half-square triangles with Four-patches. 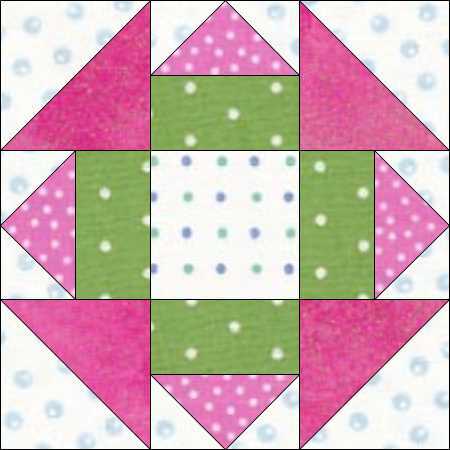 This entry was posted in beginners patchwork, Block of the Month, colour play, free pattern, wall hanging and tagged block of the month, free pattern, nine-patch block, quilt blocks, sampler quilt on January 15, 2017 by Chris.